The common question always asked in regards to Testosterone and Testosterone injections is the question: “why do I have to inject Testosterone? Why can’t they just make it a pill format?”. The answer to this question lies in chemistry of Testosterone, and some history must be retold for the reader to properly understand why Testosterone is best injected and its other limitations. Before delving into the chemistry explanation and the history behind it, it should first be understood that there are indeed oral formats of Testosterone in the form of pills or capsules that can be ingested orally. There also exist other methods of delivery besides Testosterone injections, such as transdermal patches, gels, and creams. The problem with oral formats of Testosterone first of all, is that one particular oral format (Methyltestosterone) expresses a degree of hepatotoxicity (liver toxicity) in the body when ingested. Although studies have demonstrated that it does not cause any significant issues when administered at appropriate doses, it is too impractical for medical use that often requires long term administration, such as Testosterone replacement therapy (TRT). Methyltestosterone and other methylated (also known as C17-alpha alkylated) oral anabolic steroids cannot be administered for long periods (greater than 8 weeks on average) before liver stress and toxicity becomes a growing concern. This does not occur with Testosterone injections, which exhibits no negative effects on the liver. The second oral format of Testosterone, known as Andriol (Testosterone Undecanoate), utilizes a system whereby Testosterone is ester bound to a highly fat soluble carboxylic acid (undecanoic acid). 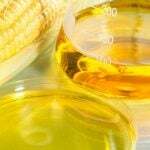 The result of the high fat solubility means that the Testosterone ends up further down into the gastrointestinal tract, where it is absorbed into the lymphatic system. The benefit to Andriol versus Methyltestosterone is that Andriol is not C17-alpha alkylated and therefore expresses zero hepatotoxicity, but the downside to Andriol is that it expresses very poor absorption and very poor bioavailability, and is very expensive to boot. Testosterone injections completely bypass the shortcomings of the gastrointestinal tract, bypassing the first pass through the liver (which metabolizes the hormone into inactive metabolites before it can reach the bloodstream) as well as the absorption issues with the lymphatic system. Loss of potency and hormone is minimized with injections, and the accuracy of dosing and release times can be better controlled. What has become more popular in recent years have been the topical applications such as transdermal gels, creams, and patches. These have become very popular due to their better cost and efficiency than the oral formats, as well as their convenience in ease of application. These are topical solutions or patches that contain Testosterone within them, and are to be rubbed onto the skin where they are absorbed through the skin. Like Testosterone injections, these avoid the limitations of the gastrointestinal system, but there are concerns about the absorption as well as the inconveniences of transdermal application. Some concerns include the inconvenience of creams and gels rubbing off on to other clothes, bed sheets, and people (wives, girlfriends, close contact with children, etc.) as well as the issue of some gels and creams becoming easily washed or rubbed off in the event that profuse sweating occurs, or water is applied. Obviously, these are issues that are not associated with Testosterone injections. Testosterone was first officially discovered, isolated, and synthesized in a laboratory in the 1930s by a German scientist by the name of Adolf Butenandt and his colleagues. Upon first examination of the organic compound, the scientific and medical establishment was marveled and its potential and use could only begin to be fathomed. There were some limitations upon the early testing and discovery of Testosterone, however. Testosterone injections were of course the only viable method of administration upon first discovery. This is due to the fact that Testosterone, as previously mentioned, is quickly and efficiently metabolized by enzymes within the liver that chemically change Testosterone into inactive metabolites that are passed through the body into the urine and feces to be expelled. Although not all Testosterone ingested orally succumbs to this fate, only a small percentage of Testosterone makes it through to the bloodstream intact. 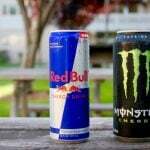 The other problem encountered is one that plagues Testosterone injections itself as well. Testosterone alone exhibits a very short half-life in the body before it is metabolized and removed, making it very inconvenient for medical purposes as in its pure form (as Testosterone suspension), Testosterone must be injected every day or even multiple times per day. For those unfamiliar with the term ‘half-life’, it is a scientific and medical term used to describe the amount of time required for the original dose of a substance administered to be reduced to half of that original dose in the human body. This is a very important term and definition that should be remembered throughout this article, and will assist the understanding of Testosterone injections. For example, if Testosterone Propionate holds a half-life of 4.5 days and 100mg is administered on day 1, then that means that only 50mg will be remaining in the human body by the 4.5 day mark. The previously described features, properties, and traits of pure unmodified Testosterone posed a problem in regards to administration as well as the convenience of administration. The very first Testosterone product designed for injectable administration that was developed was known as Testosterone suspension. Testosterone suspension is merely Testosterone in the form of microcrystals that are suspended in water, and the vial must be shaken in order to evenly disperse the microcrystals prior to withdrawing and injecting it. Aside from the issue of Testosterone possessing an impractical and inconvenient half-life, Testosterone suspension is a product that was very painful to inject due to the crystal base, as well as the requirement of a large needle gauge. It was pretty evident at this point that Testosterone had to be modified in some way so as to find a suitable form that would be convenient to administer, both in the search of Testosterone injections as well as oral formats. The first attempt at an oral form of Testosterone was Methyltestosterone, which was methylated (also known as C17-alpha alkylated) Testosterone on the 17th carbon. This allowed Testosterone to become bioavailable through oral ingestion, but exhibited a measure of hepatotoxicity that would make it impractical for long-term medical therapeutic use as mentioned earlier in this article. In order to make Testosterone injections more tolerable and feasible, Testosterone was modified by adding a carboxylic acid to the 17th carbon of Testosterone’s steroidal structure. There are many different carboxylic acids of different lengths, with some being shorter and some being longer than others. The longer the carboxylic acid, the longer it will extend the half-life of the hormone it is attached to. Carboxylic acids are attached to the 17th carbon of Testosterone via ester bonding, creating an esterified variant of Testosterone. The result, for example, when enanthoic acid is ester bonded to Testosterone, results in Testosterone Enanthate. Propanoic acid bound to Testosterone creates Testosterone Propionate, and so on, and so forth. Esterification creates injectable formats of Testosterone that makes Testosterone injections far more comfortable and far more convenient. They do not alter the pharmacological effects of Testosterone (or any hormone they are attached to) on the body, but what they do is augment the half-life and rate of release of the hormone within the body. 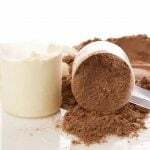 Once Testosterone Enanthate, for example, is injected into the body, the body’s esterase enzymes within the bloodstream and the liver will work to cleave off the enanthate ester from the Testosterone molecule, leaving behind pure Testosterone to be able to perform its work in the body. The hormone cannot perform its job until this ester is cleaved off of the hormone, which takes varying lengths of time depending on the type of ester. For example, Testosterone Enanthate’s half-life is that of 7 – 10 days, Testosterone Propionate is 4.5 days, and Testosterone Cypionate is 10 – 12 days. This allows users to administer their Testosterone injections less frequently depending on the esterified variant of Testosterone chosen, which makes administration far more convenient, comfortable, and practical. For example, Testosterone Enanthate needs to only be administered once or twice per week (ideally) for performance enhancing purposes. For the purpose of medical TRT, once per week and even once every two weeks is sometimes administered/recommended by doctors and medical professionals. Testosterone is one anabolic steroid with a very wide and broad range of application, especially since the scientific developments over the years have resulted in modified formats of Testosterone injections that result in more convenient and comfortable administration. The use of Testosterone injections within a medical and clinical setting can be quite different from their use in a bodybuilding, athletic, and physique/performance enhancement setting. Testosterone (as well as its synthetic derivatives) are a very important medicine within the medical establishment, and is regarded as a drug with a high degree of safety and low risk. This is easily evidenced by the wide range of uses that Testosterone has within medicine, and how frequently it is used and prescribed to alleviate, treat, or possibly cure various debilitations and diseases. Testosterone itself holds the primary use within medicine for Testosterone replacement therapy (TRT). It is perhaps today the singular application for Testosterone. 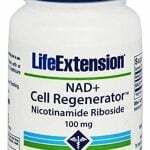 Although it can be utilized for other purposes, such as the recovery of burn victims, trauma patients, surgery recovery, wasting disorders, and other debilitations, it is primarily reserved for the application of TRT and transgender hormone therapy. Other debilitations and diseases are better treated with the other synthetic analogues of Testosterone, which have been modified in different ways so as to express less incidence of certain side effects to the patient, or to have the capability to be administered to user groups that might not traditionally tolerate Testosterone very well (such as females and children). For those applications, the different modified analogues and derivatives of Testosterone are better suited than Testosterone itself. For the medical use of Testosterone injections, the dose used and the frequency of administration are both lower and less frequent than for performance and physique enhancement. For TRT, for example, Testosterone is commonly administered via Testosterone injections (although the popularity of transdermal creams, gels, and patches are beginning to gain more popularity), and the dose administered is merely for the purpose of restoring the normal range of Testosterone levels in men who are determined to be hypogonadal. Such treatment involves Testosterone injections administered normally once per week at a dose of anywhere between 100 – 250mg per injection (Testosterone Enanthate is normally used). It is up to the physician’s discretion as to whether or not the Testosterone injections are administered by him/her, or if he/she will allow the patient to self-administer at home. Normally, patients are taught how to self-administer so that it is more convenient to them and that they do not have to find the time to travel to their doctor every so often just to have Testosterone injections administered to them. Some doctors prescribe even less frequent injections of a single shot of 250mg once every two weeks (once again, Testosterone Enanthate, Testosterone Cypionate, or Sustanon 250 is typically used). The frequency and dose is normally determined by regular blood work to monitor Testosterone levels in the individual, and tailor the dose and frequency of injections to pinpoint the precise range of Testosterone levels desired. For other medical applications, if Testosterone is indeed used for them (such as wasting diseases), may require different dosages and frequencies of administration than for TRT. For the purpose of performance and physique enhancement, the administration and dosage protocol changes dramatically. Because the intended purpose is no longer to restore normal physiological levels (and is instead used to increase muscle mass and performance), higher (supraphysiological) doses are required alongside more frequent injections in order to maintain optimal peak blood plasma levels of the hormone. A TRT patient does not need to worry about performance increases from week to week (or even day to day), but athletes and bodybuilders do. While the human body manufactures approximately 70mg of Testosterone per week, the Testosterone dosage required for performance enhancement must be well above that, with a minimum being in the range of 300 – 500mg per week for beginners, and some advanced bodybuilders and steroid users venturing as high as 1,000mg per week or higher (this is more rare but it has been seen). In addition to higher dosages, Testosterone injections must be administered more frequently. 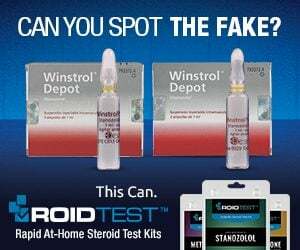 While TRT patients can ‘get away’ with a single 250mg injection of Testosterone Enanthate once per week or once every two weeks, an athlete or bodybuilder would have to administer 250mg of Testosterone Enanthate twice per week (for a total of 500mg) in order to experience a steady onset of performance and physique enhancing benefits. The reason why this is the case is because constant steady peak blood plasma levels of the hormone are required for constant biological action on muscle tissue when performance and physique enhancement is desired. For medical purposes such as TRT, sharp spikes and peaks and valleys in blood plasma levels can be afforded, as the user is merely utilizing Testosterone injections to achieve a ‘normal’ state of well-being and is not particularly concerned with significant or dramatic increases in muscle mass or strength from week to week. Another frequently pondered question concerning Testosterone injections are the side effects associated with them. 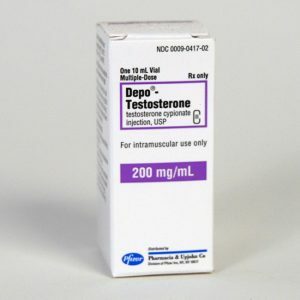 While the general and comprehensive list of Testosterone side effects can be viewed by reading the Testosterone profiles (Testosterone Enanthate, Testosterone Cypionate, Testosterone Propionate) as well as the Testosterone article, what will be briefly focused upon here is how Testosterone injections side effects can vary between administration methods and protocols. Testosterone injections side effects can change for the individual depending on how it is administered. The difference between administration of Testosterone injections as they relate to performance and physique enhancement versus medical application (mostly for TRT) have been outlined. There are some significant differences between the two and how the individual will react. It is a well-known fact that sharp spikes and peaks and valleys in blood plasma levels will exacerbate various side effects by a far greater deal than when blood plasma levels of hormones are maintained at a steadier rate. The nature of all Testosterone injections whether it be a long-acting Testosterone such as Testosterone Enanthate or a short acting Testosterone such as Testosterone Propionate, is that sharp spikes in blood plasma levels of Testosterone are experienced within the first day or days following administration. 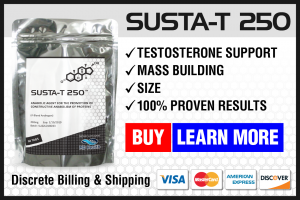 What follows, however, is a very sharp decline in levels (hence why Testosterone blends such as Sustanon 250 were originally formulated, to try and best solve this problem). What results during sharp peaks and drops in hormone levels is an increase in the incidence of side effects. When administered infrequently (such as once per week or once every other week for Testosterone Enanthate, for example), Testosterone injections side effects can include an increase in bouts of acne, oily skin, and various other androgenic side effects. 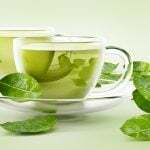 Estrogen related side effects as a result of increased aromatization due to high and low blood plasma levels are also a frequent issue. This is because the balance of different hormones (Testosterone, Dihydrotestosterone, Estrogen, and others) is constantly out of balance when levels of Testosterone itself rises and falls frequently, throwing other hormones out of balance. The best possible solution to such an issue, and the best method of reducing the incidence of Testosterone injections side effects is through more frequent administration. The general rule here is to take the half-life of the type of Testosterone used, and administer the injections half way through that time period. For example, Testosterone Enanthate’s half-life is approximately 7 – 10 days. This means that in order to maintain more stable blood plasma levels, it should ideally be administered once every 3 or 4 days (perhaps an injection on Monday followed by an injection on Thursday). If using Testosterone Propionate, its half-life is that of 4.5 days. Therefore, to best maintain more steady blood plasma levels, it should be administered every other day at the very least. This will achieve much more stable blood plasma levels than administration of the Testosterone injections only on the final day of the half-life (for example the 7th or 10th day for Testosterone Enanthate). This protocol goes for both medical application of TRT, as well as performance and physique enhancement. This administration protocol should vastly reduce the incidence of Testosterone injections side effects and make the overall experience more comfortable for the user.